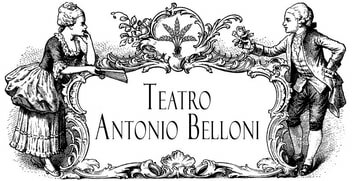 Siamo al tempo stesso contenti e orgogliosi di collaborare con il prezioso ed elegante Teatro Belloni attraverso i nostri giovani e giovanissimi talenti della tastiera. Nei programmi musicali magistralmente impaginati e narrati da Andrea Scarduelli il pianoforte è una presenza costante sia perché nelle pagine operistiche si trasforma in una vera e propria orchestra (sotto le esperte dita del maestro Stefano Giannini) sia perché i nostri giovani pianisti quasi ogni mese si esibiscono in recital e i nostri kids (under 14) partecipano alle serate dedicate alla lirica con intermezzi a 2 e 4 mani. We are happy and proud to announce a collaboration with the precious and elegant Teatro Belloni who will host shows and concerts exhibiting our young and very young talented pianists. During the shows, masterfully organized and narrated by Andrea Scarduelli, the piano is constantly present because in opera music, it becomes a full-fledged orchestra (played by the experienced fingers of Maestro Stefano Giannini) but also almost every month, our young pianists perform solo recitals or our "Kids" (that are under 14 years old) participate in the spectacles dedicated to opera music playing intermezzi for 2 or 4 hands.